Scoring a tech media hat-trick, The Cooper Union's 2016 Robot Sumo event has been featured by Scientific American, Vice and Ars Technica. The annual competition takes place during the End of Year Show opening night. 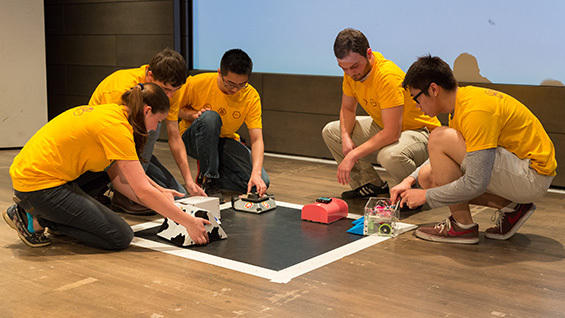 The students of Professor Brian Cusack's mechatronics class must build their own robots that are able to autonomously stay in the ring against their opponents. The winner is usually, “the one that malfunctions the least," Prof. Cusack is quoted as saying.